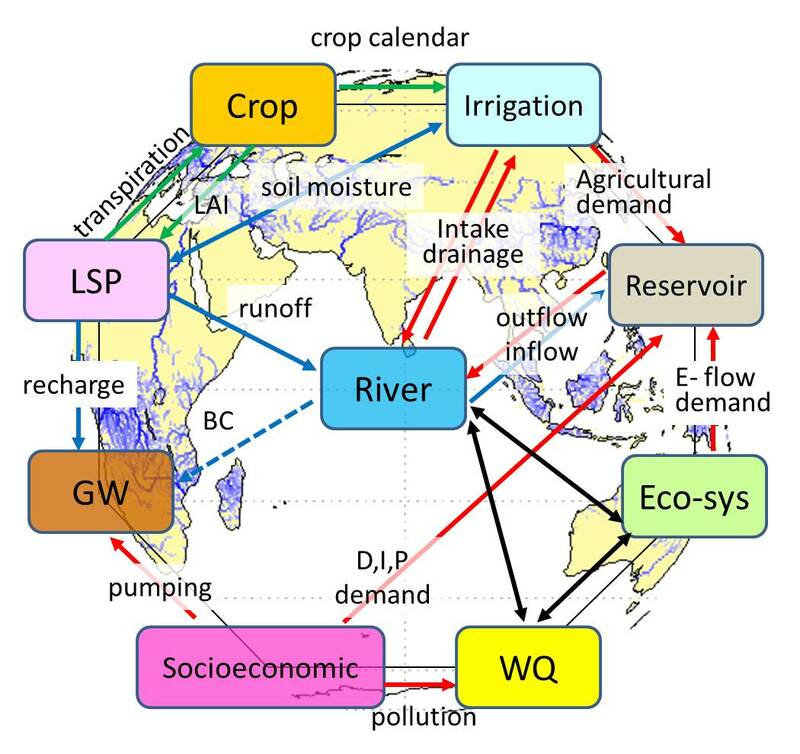 An “integrated water resources management model” which consists of a distributed runoff model, a land surface model, a groundwater model, a water quality model, a sediment transport model, a food chain model, a crop growth model, a reservoir operation model, a socioeconomic model, and other components, is being developed. This model is an integrated model describing not only natural hydrological systems but also artificial systems, such as flood regulation and reservoir release to meet demands of different sectors. This model is expected to be applied to various topics, such as diagnosis of the reliability of the current water resources system, decision support for water resources planning, risk evaluation of flood, drought and ecosystem under future climate change, and proposals of risk reduction and adaptation measures to the anticipated impact from climate change.